Congratulations to the Burnet Swim Team for placing first overall at the Winter Classic Invitational held this past weekend at the YMCA of the Highland Lakes. A total of nine teams competed. 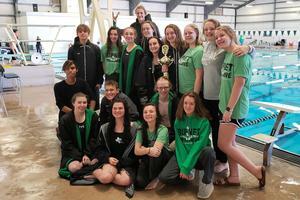 The Girls team finished 1st overall and the boys team finished 3rd; combined points, the swimmers took the overall win! Coach Pegues commented, "It was an amazing day with lots of personal records and top finishes. Thank you to all of our amazing parents, officials, and the YMCA staff. None of this would be possible without all of your help. 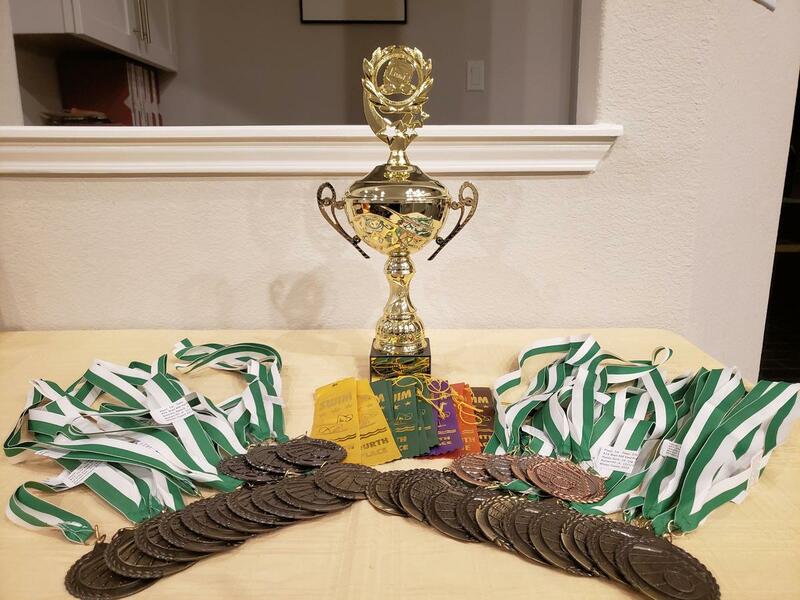 Our next meet is Saturday January 5th, 2019 The TEX Robertson Invitational at the YMCA." Top finishers: 1st place Boys 200 Medley Relay(Orosco,J.,Messer, J., Griego, M., Behrens, R.)(PR); 1st place 200 Free Jacey Huston(PR); 1st place 50 Free Katelyn LaJoie (PR and new school record); 2nd place 50 Free Maczimus Griego(PR), 3rd place 50 Free Jordan Messer; 1st place 1m diving Angelica Orosco, 2nd place 1m diving Tanner Keltch; 1st place 100 Fly Avery McCrory(PR); 1st place 100 Fly Maczimus Griego(PR); 1st place 100 Free Katelyn La Joie(PR); 2nd place 100 Free Jordan Messer(PR), 3rd place 100 Free Ryan Behrens; 1st place Girls 200 Fr Relay (La Joie, K., Crawford, D., La Joie, J., McCrory, A. )(PR); 2nd place 100 Back Julianna La Joie; 3rd place 100 Back Justin Orosco(PR); 3rd place 100 Breast Deanna Crawford(PR); 1st place Girls 400 Fr Relay(La Joie, K., La Joie, J., Crawford, D., McCrory, A. )(PR); 1st place Boys 400 FR Relay (Messer, J., Horan, Z., Behrens, R., Griego, M.)(PR).